3. Victory Tax: Just how much are Olympians expected to pay for their medals? a. I have IRAs, a 401(k) through work and a savings account, where everything is in a budgeted model. How close am I to achieving financial security? b. What is the foundation to achieving financial security? What should I be focusing on that I may have left out of my financial plan of investment accounts and savings? Gary states: Good afternoon! Yes sometimes we just have to take the money and run! Welcome to Inside Advantage – Your Financial And Tax Radio Show. This is Licensed Financial Planner, Gary Sussman, Senior Vice President Of Investments at Trilogy Financial Services. Now Board Certified Tax Attorney, Jeffrey B. Kahn, the principal attorney of the Law Offices Of Jeffrey B. Kahn, P.C. and head of the KahnTaxLaw team was not able to be on today’s show but we will have his associate attorney, Amy Spivey, join us later. Segment 3 material: Victory Tax: Just how much are Olympians expected to pay for their medals? Gary states: At this time, I’d like to introduce you to Jim Sagona. Jim is a realtor with Pacific SOTHEBY’S International Realty. 1) What is a Lifetime Estate Gift Annuity? 2) How long has Sharp been offering this program? 3) Why are donors passionate about having Sharp has the beneficiary to this gift? 4) Why would someone consider a LEGA? 5) How does this differ to a Reverse Mortgage? 6) Do you coordinate at all with peoples Estate attorneys? 7) How can people learn more about the program? Gary states: Well it’s time for a break but stay tuned because we are going to let you know what The Building Blocks to Financial Security are. Gary states: Welcome back. This is Inside Advantage – Your Financial And Tax Radio Show on ESPN and you are listening to Board Certified Tax Attorney, Jeffrey B. Kahn, and Licensed Financial Planner, Gary Sussman. And be aware of the special offer that I have for you: Gary states PLUG: Trilogy Financial Services will provide you with a retirement cash flow analysis which is a $600.00 value for free as long as you mention the Inside Advantage Radio Show when you call to make an appointment. Call my office to make an appointment to meet with me, Gary Sussman. The number to call is 949.536.2030. That is 949.536.2030. Or visit www.yourfinancialstory.com. NPC DOES NOT PROVIDE TAX NOR LEGAL ADVICE. So, What Are The Building Blocks To Financial Security? 1) Have to start with laying the foundation…Cash accounts to meet our short term needs. For most people not the best place to be saving for long term goals. Fixed Accounts to provide stability and always perform on some level when our stocks/bonds may be underperforming. 2) Allocate dollars to primary int/long term goals. Home downpayments, Education, Retirement. Based on time frames.. seek higher ROR through mutual funds etc. Also diversify your account registrations. Don’t stick everything into Retirement even if this is your priority. Tax adv plans. 3) Only speculate when you can afford to live without it. 5) Cash flow. Where your money goes tell a lot about your priorities. Understanding Cash flow is often times the most important of all. Maximizing your abilities can often times hinge on cash flow. Gary states PLUG: Trilogy Financial Services will provide you with a retirement cash flow analysis which is a $600.00 value for free as long as you mention the Inside Advantage Radio Show when you call to make an appointment. Call my office to make an appointment to meet with me, Gary Sussman. The number to call is 949.536.2030. That is 949.536.2030. Or visit www.yourfinancialstory.com. NPC DOES NOT PROVIDE TAX NOR LEGAL ADVICE. Gary states: Stay tuned because after the break we are going to explain the Victory Tax Uncle Sam is charging out Olympic Victors. Gary states: And Calling into the studio from Jeff’s Walnut Creek Office is his associate attorney, Amy Spivey. Gary asks: Amy would you tell the listeners of your offer? Amy replies: PLUG: The Law Offices Of Jeffrey B. Kahn, P.C. will provide you with a Tax Resolution Plan which is a $500.00 value for free as long as you mention the Inside Advantage Radio Show when you call to make an appointment. Call our office to make an appointment to meet with Jeffrey Kahn, right here in San Diego or at one of our other offices close to you. The number to call is 866.494.6829. That is 866.494.6829. Gary states: While millions of Americans were glued to their televisions to watch American athletes compete in this year’s Summer Olympics, the Internal Revenue Service was quietly getting ready to make sure that all our Olympic winners pay taxes on their victories. Amy replies: It’s true. The Internal Revenue Code mandates that if you win a prize in a lucky number drawing, television or radio quiz program, beauty contest, or other event, you must include it in your income. For example, if you win a $100 prize in a marathon, you must report this income on your Form 1040. If you refuse to accept a prize, do not include its value in your income. Prizes and awards in goods or services must be included in your income at their fair market value. Gary asks: So what is the impact to a U.S. athlete who wins in the Olympics? Amy replies: America’s Olympic medalists must pay state and federal taxes on the prize money they get for winning. The U.S. Olympic Committee awards $25,000 for gold medals, $15,000 for silver and $10,000 for bronze. Gary states: So I get it that any prize money one receives, he or she must pick up that amount as income. Amy replies: But that’s not all. Olympians also have to pay tax on the value of the medals themselves. Gary states: You mean the prize money is not enough for the government to tax but also the metal? Amy replies: That’s right. Gold and silver medals are made mostly of silver, while bronze medals are composed of mostly copper. Rio’s medals are among the largest and heaviest ever and contain about 500 grams of either silver or copper. Gary asks: So what are the deemed values of these metals? Amy replies: The value of a gold medal is about $564; silver is worth about $305. Bronze is worth a negligible amount so it’s not taxed. Gary asks: But what if an athlete does not accept his metal and prize or is later disqualified and has to return the metal and prize? Amy replies: Any athlete who accepts his or her Olympic medal and does not have to forfeit it will have to report its value as income and pay taxes on it. That’s true even though the competition took place in Brazil and not the United States. Gary asks: How do other countries tax this? Amy replies: Winning Olympic athletes from most other countries don’t have to worry about their medals being taxed. This unfairness has resulted in considerable debate during each session of Congress when a Summer or Winter Olympics is held but any legislation to change the tax law has never made it out of Congress. In fact there is proposed federal legislation as we speak that would make “the value of any medal or prize money” awarded during the Olympics or Paralympics exempt from income taxes. The bill was passed by the Senate in July 2016 and is being considered by the House. It would apply to earnings from January 1, 2016 to January 1, 2021. California is reviewing a similar proposal. Gary states: You would think most Americans would be in favor of the legislation but there appears to be some backlash. Amy replies: That’s true. For example, should an Olympian who comes home with 4 medals conceivably make $100,000 tax free while millions of hard working Americans struggle to support their families on far less income yet have to pay taxes? Gary states: Then of course one should recognize that the U.S. is the only major country that doesn’t provide government funding to its Olympians. Now a handful of lucky athletes land lucrative endorsement deals. But most of them rely on small stipends from the USOC, support from local businesses or supplemental income from a day job. Amy states: It’s clearly a decisive issue with arguments on both sides. But what you need to remember that even income earned outside the U.S. may be taxable. Every year, thousands of taxpayers learn that lesson the hard way. If you live, compete or work outside the United States, you must still file tax returns here. In addition, if you win a prize or award, you must claim the value of that prize or award on your tax return as income. Gary states: You know I am not convinced that an income exclusion for Olympians and Paralympians would change anything. Amy states: I agree. Cutting taxes isn’t going to fix the fact that these athletes don’t get paid enough. And then how do you distinguish this from other individuals who win prestigious awards. Such is the case with Nobel prize winners who receive more prize money — around $1 million. Shouldn’t an award for such an accomplishment also be tax free? Gary states: Amy you mentioned who U.S. taxpayers have to report income from all worldwide sources. What about someone who earns interest in a foreign bank account? Amy replies: The tax law requires U.S. citizens and resident aliens to report worldwide income, including income from foreign trusts and foreign bank and securities accounts. In most cases, affected taxpayers need to complete and attach Schedule B to their tax return. Part III of Schedule B asks about the existence of foreign accounts, such as bank and securities accounts, and usually requires U.S. citizens to report the country in which each account is located. Gary asks: In speaking of foreign bank accounts, what are the Filing Requirements If You Have Undisclosed Bank Accounts? Gary asks: So How Does This Breakthrough Impact U.S. Taxpayers? Amy replies: Consider this – about 60,000 U.S. taxpayers have come forward to disclose their previously undisclosed offshore accounts but just last year alone, 300,000 U.S. taxpayers filed Form 8938 disclosing foreign accounts. That would mean that about 240,000 did not previously report their foreign accounts and that under this recent filing of Form 8938 to IRS, they have put the IRS on direct notice of their non-compliance. Amy continues: Our office saw an increase in interest and activity by U.S. taxpayers hiring our firm after the 2004 UBS scandal and subsequent implementation by IRS of its first dedicated Offshore Voluntary Disclosure Program. Amy states: PLUG: The Law Offices Of Jeffrey B. Kahn, P.C. will provide you with a Tax Resolution Plan which is a $500.00 value for free as long as you mention the Inside Advantage Radio Show when you call to make an appointment. Call our office to make an appointment to meet with Jeffrey Kahn, right here in San Diego or at one of our other offices close to you. The number to call is 866.494.6829. That is 866.494.6829. Gary states: Thanks Amy for calling into the show. Amy says Thanks for having me. Gary states: Stay tuned as we will be taking some of your questions. You are listening to Board Certified Tax Attorney, Jeffrey B. Kahn, and Licensed Financial Planner, Gary Sussman on Inside Advantage on ESPN. Gary states: And Jeff and I always pleased to make our offers to our listeners where… PLUG: The Law Offices Of Jeffrey B. Kahn, P.C. will provide you with a Tax Resolution Plan which is a $500.00 value for free as long as you mention the Inside Advantage Radio Show when you call to make an appointment. Call Jeff’s office to make an appointment to meet with him in San Diego or at one of his other offices close to you. The number to call is 866.494.6829. That is 866.494.6829. Gary states: And in the studio with me is Jim Sagona with Pacific Sotheby’s. Jim as our guest today you get the honors of pulling today’s questions. OK Jim, what questions have you pulled for us to answer? Steven from Newport Beach asks: I have IRAs, a 401(k) through work and a savings account, where everything is in a budgeted model. How close am I to achieving financial security? Jackie from San Diego asks: What is the foundation to achieving financial security? What should I be focusing on that I may have left out of my financial plan of investment accounts and savings? Gary states: Well we are reaching the end of our show. Have a great weekend! What exactly are the pros and cons of leaving my 401(k) with my previous employer? How accurate are the do-it-yourself type software that allow you to calculate and file your taxes after answering a few questions? Why is it more beneficial to have a tax professional prepare your taxes as oppose to said software? We would like to introduce Chuck Hunter! Chuck is the Founder and CEO of Multivariable Solutions, a domestic and international Business Consulting Firm located here in the Greater San Diego area. So Chuck, tell us a little bit about what you do? What is your goal or mission at Multivariable Solutions? What prompted you to found your own company? How long have you been with Multivariable Solutions? What had you done in your career before that prepared you to take on the role of CEO? Most companies and consultants focus on one or two variables whereas Multivariable Solutions looks across a wide spectrum. What exactly do you look for? Jeff states: Well it’s time for a break but stay tuned because we are going to tell you all about 401(k) Plans. And be aware of the special offer that Windus has for you: Windus PLUG: Trilogy Financial Services will provide you with a retirement cash flow analysis which is a $600.00 value for free as long as you mention the Inside Advantage Radio Show when you call to make an appointment. Call my office to make an appointment to meet with me, Windus A. Fernandez Brinkkord. The number to call is 858.314.5169. That is 858.314.5169. Or visit www.guideyourstory.com. NPC DOES NOT PROVIDE TAX NOR LEGAL ADVICE. The California State Treasurer states that based on their research fewer than 45% of California’s private workforce has access to a work sponsored retirement plan in the age group of 25-64. This is worse than the nationwide average of 53%. This is specifically only in the public sector. To go a step further, in the public and private sectors, nearly ½ of all Californian’s are currently on track to retire with income below 200% of the federal poverty level of $22,000 per year for one person. *This information is coming from Trinet, an HR retirement planning company’s site. Trinet is one of many companies that help work on this here in San Diego. The Secure Choice Retirement Savings is where companies that do not set up a plan of their own, will have to direct employees. The scary part of this is that for the first three years contributions could be kept in Treasury bills, regardless of your age, until more extensive models can be built! Better to have a large company like Fidelity or T. Rowe Price manage this then to have the treasurer put together a board that is going to take 3 years to put proper investment models in place. *Chuck, with the work that you do, do you recommend companies start plans for their employees? When you do, what type of plans do you typically recommend? There is also a new emerging “robo” 401k platform employers can implement. I have to say, when reading about this, a 401k plan is not the place for “robo” implementation. I can tell you that the IRS could have a field day auditing plans that are incorrectly established and 401k plans need to be very specific to the company. *The fund line up should be reviewed on a schedule and there should be defined parameters for which funds are brought into the plan and removed from the plan. *401k plans are required to have a diverse line up for employees to select from. *QDIA is the Qualified Default Investment for when an employee is auto enrolled in the plan but does not go in after to elect an allocation. Why a 401k plan over a SIMPLE plan. *401k plans allow for employers to be selective about who is in the plan and match in a more creative fashion. Sometimes in a benefit to the employee and sometimes not. SIMPLE plans are “simpler” to maintain annually BUT they aren’t always on the best platforms for the employee and some have fees that just aren’t that transparent or favorable. The 401k plan can be a very powerful tool and if put in place correctly, can be very inexpensive to the employee for long term retirement savings. And in case anyone out there receives a 403 b 2 notice, THIS IS a key notice regarding the fees you pay in the 401k plan. 2. Too much company stock or TOO much risk options without enough conservative options for employees. 4. Being “top heavy” having to force money out of the plan for your top employees. Being Top heavy means earning more than $120,000 in income or being more than a 5% owner in the company. Windus PLUG: Trilogy Financial Services will provide you with a retirement cash flow analysis which is a $600.00 value for free as long as you mention the Inside Advantage Radio Show when you call to make an appointment. Call my office to make an appointment to meet with me, Windus A. Fernandez Brinkkord. The number to call is 858.314.5169. That is 858.314.5169. Or visit www.guideyourstory.com. NPC DOES NOT PROVIDE TAX NOR LEGAL ADVICE. Stay tuned because after the break we are going to tell you IRS Tax Auditing and What You Should Be Aware Of. And be aware of the special Offer that I have for you: PLUG: The Law Offices Of Jeffrey B. Kahn, P.C. will provide you with a Tax Resolution Plan which is a $500.00 value for free as long as you mention the Inside Advantage Radio Show when you call to make an appointment. Call my office to make an appointment to meet with me, Jeffrey Kahn, right here in San Diego or at one of my other offices close to you. The number to call is 866.494.6829. That is 866.494.6829. Jeff states: So I don’t know of anyone who enjoys being audited by the IRS. The IRS randomly selects tax returns for audit each year. Jeff asks: Amy can you go over the deadlines that the IRS has if looking to audit a tax return? Amy replies: Now the IRS does have a deadline by which they must complete an audit of your tax return. Normally that deadline is three years after the due date of the tax return. So a 2013 income tax return that was filed by the April 15, 2014 filing deadline, the IRS would have until April 15, 2017 to audit that tax return. Jeff states: Well here we are August 12, 2016 but do not relax so quickly. If you filed an extension for your 2013 tax income return, then you just extended the IRS’ time to audit to October 15, 2017. Windus asks: Could the government have an even longer time to audit a tax return? Amy replies: The government has an even longer time of six years where you omitted more than 20% of your income on your tax return and if you never filed a tax return or you filed a fraudulent tax return, there is no deadline for the government and you can be audited any time! Windus asks: Amy, what are the different types of audits that the IRS conducts? Correspondence Audit: This is the least severe type of audit. It involves the IRS sending a letter in the mail requesting more information about part of a tax return. For instance, the agency may have questions regarding charitable deductions and request you send in receipts to substantiate your deduction. “It’s the lowest level of the audits.” “If you have the receipts or information it’s generally not an issue.” If your tax return is legitimate and you have the data to back up any claims on your return, you may want to handle the situation on your own. BUT If you don’t have the receipts or information, then you should have a tax representation professional deal with the IRS because you could face fines, penalties and interest if you end up owing money. Jeff states: So everyone wants to know, what sets off alarms at the IRS? Well for one thing it pays to keep in mind these 10 “red flags” that could increase the chance you’ll be targeted for an audit. High income. The audit rate for 2011 tax returns, which was about 1.11% overall, shot to 3.93% for taxpayers with income of $200,000 or more. That’s almost one out of every 25 returns. The IRS tends to chase the “big money,” and while that’s no reason to earn less, you should realize that higher income exposes you to a greater audit risk. Unreported income. The IRS computers match up the income listed on W-2 and 1099 forms with the income reported on individual returns. You’re likely to draw IRS scrutiny if you don’t report all of your taxable income or if you underreport the total, even if an omission is inadvertent. Check your tax forms to ensure the information is correct. Large charitable gifts. Besides providing personal satisfaction, deductions for charitable gifts can offset highly taxed income on your return. But the IRS may become suspicious if the amount you deduct is disproportionate to your income. In particular, make sure that deductions for gifts of property are legitimate and include an independent appraisal when required. Home office deductions. If you qualify, you can write off your direct costs of using part of your home as an office, plus a percentage of everyday living expenses such as property taxes, mortgage interest, utilities, phone bills, insurance, etc. But the basic rule is that you must use the office “regularly and exclusively” as your principal place of business. Simply doing work at home when your main office is elsewhere won’t cut it. Rental real estate losses. Generally, “passive activity” rules prevent investors from deducting losses on rental real estate. But a special exception allows a loss deduction of up to $25,000 for “active participants,” subject to a phase-out between $100,000 and $150,000 of adjusted gross income (AGI). Another exception applies to qualified real estate professionals. The IRS may zero in on taxpayers claiming losses under either exception. This aspect of the tax law can get very technical so you should inquire with a tax professional to see if you qualify. Travel and entertainment expenses. This is often a key audit target. IRS agents particularly look for self-employed individuals and other business owners who claim unusually large write-offs for travel and entertainment expenses and meals. Note that the tax law includes strict substantiation rules that must be followed in order to deduct any of these expenses. Business use of cars. Another area ripe for abuse by taxpayers is the use of a vehicle for business purposes. The annual amount you can claim via depreciation deductions for the vehicle, based on percentage of business use, is limited by so-called “luxury car” rules. IRS agents have been trained to ferret out taxpayer records that don’t measure up. Another red flag is a claim for 100% business use of a vehicle, especially if another vehicle isn’t available for personal use. Hobby losses. As a general rule, you can deduct expenses for a hobby only up to the amount of the income it produces. You normally can’t claim a loss for the activity, unless your involvement rises to a level of a bona fide business. Usually, an activity is presumed not to be a hobby if you show a profit in any three out of the past five years, but the IRS can refute this presumption. Foreign bank accounts. The IRS has started clamping down on taxpayers with offshore accounts in “tax havens” in which banks do not disclose account information. Failure to report foreign income can trigger steep penalties and interest. If you have foreign bank accounts, make sure you properly report the income when you file your return. Cash businesses. If you operate a small business in which you’re largely paid in cash—for example, if you own a car wash, restaurant or bar, or a hair or nail salon—the IRS is more likely to examine your return. Past history indicates that cash-heavy taxpayers may underreport their income or, in some cases, not report any income at all. Accordingly, the IRS remains on high alert. PLUG: The Law Offices Of Jeffrey B. Kahn, P.C. will provide you with a Tax Resolution Plan which is a $500.00 value for free as long as you mention the Inside Advantage Radio Show when you call to make an appointment. Call my office to make an appointment to meet with me, Jeffrey Kahn, right here in San Diego or at one of my other offices close to you. The number to call is 866.494.6829. That is 866.494.6829. And Windus and I always pleased to make our offers to our listeners where… PLUG: The Law Offices Of Jeffrey B. Kahn, P.C. will provide you with a Tax Resolution Plan which is a $500.00 value for free as long as you mention the Inside Advantage Radio Show when you call to make an appointment. Call my office to make an appointment to meet with me, Jeffrey Kahn, right here in San Diego or at one of my other offices close to you. The number to call is 866.494.6829. That is 866.494.6829. Windus states: Windus PLUG: Trilogy Financial Services will provide you with a retirement cash flow analysis which is a $600.00 value for free as long as you mention the Inside Advantage Radio Show when you call to make an appointment. Call my office to make an appointment to meet with me, Windus A. Fernandez Brinkkord. The number to call is 858.314.5169. That is 858.314.5169. Or visit www.guideyourstory.com. NPC DOES NOT PROVIDE TAX NOR LEGAL ADVICE. Jeff states: And again I would like to thank our special guest, Chuck Hunter, CEO at Multivariable Solutions for being on the show today. Chuck as our special guest you have the honors of drawing the questions from our listeners for us to answer. OK Chuck, what questions have you pulled for us to answer? Question: What exactly are the pros and cons of leaving my 401(k) with my previous employer? Question: How accurate are the do-it-yourself type software that allow you to calculate and file your taxes after answering a few questions? Why is it more beneficial to have a tax professional prepare your taxes as oppose to said software? a. I am considering offering a 401k to my employees, is this a good idea? b. What if a taxpayer has already filed amended returns reporting income from foreign assets without entering into the Offshore Voluntary Disclosure Program? Please welcome Mark Schwartz, Owner and Agent at Mark Schwartz Realty 858-414-4602. 1. So Mark, tell us how you got into Real Estate? 3. How do you get your business? 4. How is the market right now and where are there good opportunities? 5. There is a lot of competition out there, what separates you from the rest? 6. Tell us about your coaching and mentoring program? Well it’s time for a break but stay tuned because we are going to tell you about Financial Planning missteps that could ruin everything. 2. The first mistake is that people build their house before laying a foundation. 3. The second mistake is not having a clear vision for the future and knowing what our preferred future will look like. a. How will we ever achieve our financial goals if we don’t even know what the finish line looks like. 5. The fourth mistake is not having a budget. a. Budget is not a dirty word. 6. Fifth mistake is not planning for Longevity or costs associated with advanced medical care. Stay tuned because after the break we are going to tell you about how the FATCA Momentum is Growing – If You Have Undisclosed Foreign Accounts You Have No Where To Hid. Jeff states: Nine months have passed since the Internal Revenue Service announced on October 2, 2015 the exchange of financial account information with certain foreign tax administrations, meeting a key September 30th milestone related to FATCA, the Foreign Account Tax Compliance Act. Amy states: This information exchange is part of the IRS’s overall efforts to implement FATCA, enacted in 2010 by Congress to target non-compliance by U.S. taxpayers using foreign accounts or foreign entities. FATCA generally requires withholding agents to withhold on certain payments made to foreign financial institutions (FFIs) unless such FFIs agree to report to the IRS information about financial accounts held by U.S. taxpayers, or by foreign entities in which U.S. taxpayers hold a substantial ownership interest. Amy continues: To achieve this, the IRS successfully and timely developed the information system infrastructure, procedures, and data use and confidentiality safeguards to protect taxpayer data while facilitating reciprocal automatic exchange of tax information with certain foreign jurisdiction tax administrators as specified under the intergovernmental agreements (IGAs) implementing FATCA. Gary asks: Amy, what is the reason behind the Federal government enacting FATCA into law? Jeff states: You know a lot of foreign countries are also looking to benefit from the enactment of FATCA by facilitating and participating in the exchange of financial account information so they can enforce their own tax laws on their citizens who may be evading that country’s tax laws. Amy replies: That’s right. The U.S. government has entered into a number of bilateral IGAs that set the groundwork for cooperation between the jurisdictions in this area. Certain IGAs not only enable the IRS to receive this information from FFIs, but enable more efficient exchange by allowing a foreign jurisdiction tax administration to gather the specified information and provide it to the IRS. And some IGAs also require the IRS to reciprocally exchange certain information about accounts maintained by residents of foreign jurisdictions in U.S. financial institutions with their jurisdictions’ tax authorities. Under these reciprocal IGAs, the first exchange of information had to take place by September 30, 2015. Amy replies: You should see tax counsel as soon as possible. The tax law imposes penalties as high as $100,000 or 50% of the principal value of your foreign accounts per violation and you can be incarcerated for as long as 5 years if convicted by a Federal court. Since 2009, over 60,000 U.S. taxpayers have come forward voluntarily to disclose their foreign financial accounts, taking advantage of special opportunities to comply with the U.S. tax system and resolve their tax obligations. At the beginning of 2012, the IRS reopened the Offshore Voluntary Disclosure Program (OVDP), which is open until otherwise announced. Gary asks: That is some serious punishment. Amy, what different programs are available to U.S. taxpayers? 2. Streamlined Filing Compliance Procedures. Amy continues: The Offshore Voluntary Disclosure Program (OVDP) is a voluntary disclosure program specifically designed for taxpayers with exposure to potential criminal liability and/or substantial civil penalties due to a willful failure to report foreign financial assets and pay all tax due in respect of those assets. OVDP is designed to provide to taxpayers with such exposure (1) protection from criminal liability and (2) terms for resolving their civil tax and penalty obligations. Amy continues: OVDP requires that taxpayers go back as far as eight years in amending income tax returns to report foreign source income and disclose foreign bank accounts. The taxpayers would include with their submission of these tax filings the payment of the back taxes, interest each year on the unpaid tax and a 20% accuracy-related penalty which is applied against the unpaid tax. In addition, the taxpayers would include payment of what we call the “OVDP penalty” which is 27.5% of the highest balance of the foreign bank account in the past eight years. The IRS in return will not pursue charges of criminal tax evasion which would have resulted in jail time or a felony on your record and the IRS will not pursue impose the other multitude of penalties the tax law otherwise provides. Amy replies: The streamlined filing compliance procedures are available to taxpayers certifying that their failure to report foreign financial assets and pay all tax due in respect of those assets did not result from willful conduct on their part. The key factor to be eligible for the streamlined procedures is that a taxpayer must show that he is non-willful in failing to report worldwide income and disclose foreign accounts. Gary asks: If the streamlined procedures require a taxpayer to prove he was non-willful in failing to report the foreign account and foreign income and the regular OVDP does not, why would it still be beneficial to pursue the streamlined procedures? Jeff states: So it appears that for the streamlined procedures, the effort that you must place the most emphasis on to have a successful result is not so much in the preparation of the amended tax returns but showing that a taxpayer is non-willful. Amy replies: That is correct. Many people think just by stating to the IRS that they did not know the law requires that you must report foreign income on your U.S. income tax return and disclose foreign accounts on an FBAR will satisfy this non-willful standard. There is a lot more than that to meet this standard. In fact we have identified over 50 factors that we cover with our clients which we then address in the non-willful statements that get included with the packages submitted to IRS. A comprehensive non-willful statement is the key to a successful submission. And Gary and I always pleased to make our offers to our listeners where… PLUG: The Law Offices Of Jeffrey B. Kahn, P.C. will provide you with a Tax Resolution Plan which is a $500.00 value for free as long as you mention the Inside Advantage Radio Show when you call to make an appointment. Call my office to make an appointment to meet with me, Jeffrey Kahn, right here in San Diego or at one of my other offices close to you. The number to call is 866.494.6829. That is 866.494.6829. And again I want to introduce our quest, Mark Schwartz, Owner and Agent at Mark Schwartz Realty. So Mark as our guest, what questions have you pulled for us to answer? Charles from San Diego asks: I am considering offering a 401k to my employees, is this a good idea? Stanley from Newport Beach asks: What if a taxpayer has already filed amended returns reporting income from foreign assets without entering into the Offshore Voluntary Disclosure Program? Jeff replies: When a taxpayer bypasses the Offshore Voluntary Disclosure Program and instead files the delinquent FBAR’s and amends income tax returns to include foreign income, that we call is a “quiet disclosure”. Jeff continues: The IRS is aware that some taxpayers have made “quiet disclosures” by filing amended returns, by filing delinquent FBARs, and paying any related tax and interest for previously unreported income from foreign assets without otherwise notifying the IRS. Because of this the IRS has put procedures in place whereby its computers can detect these filings and now open up examinations or investigations against these taxpayers. Our firm has already seen this happen. Jeff continues: That is why taxpayers who have already made “quiet disclosures” are encouraged to participate in OVDP by submitting an application, along with copies of their previously filed returns (original and amended), and all other required documents and information to the IRS’s Voluntary Disclosure Unit. By doing this taxpayers are protected from criminal prosecution and obtain the favorable penalty structure offered under OVDP. Unlike a voluntary disclosure through OVDP, quiet disclosures provide no protection from criminal prosecution and may lead to civil examination and the imposition of all applicable penalties. And remember, once the IRS starts an examination or investigation, it is too late to enter into OVDP. Gary states: Have a great day everyone! 1. Jonni Bailey with Ruff Haus Design, A business’ loyal marketing company! 2. As Brexit Unfolds…what we need to know. 3. Summer Wedding Tax Woes. 4. Questions from our listeners. Windus states: Good afternoon! Yes sometimes we just have to take the money and run! Welcome to Inside Advantage – Your Financial And Tax Radio Show. This is Licensed Financial Planner, Windus Fernandez Brinkkord, Senior Vice President Of Investments at Trilogy Financial Services. My co-host Jeffrey B Kahn, board Certified Tax Attorney is out today. But Amy, his associate, will be calling in for our 3rd segment. 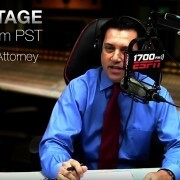 Our show is broadcasted each Friday at 2:00PM Pacific Time and replays are available on demand by logging into the KahnTaxLaw website at www.kahntaxlaw.com or on my team’s website at www.guideyourstory.com. Segment 2: As Brexit Unfolds…what we need to know. Segment 3: Summer Wedding Tax Woes. Joining me today as a guest co-host and the star of our first segment is Jonni Bailey with Ruff Haus Design, A business’ loyal marketing company! Windus states: Well it’s time for a break but stay tuned because we are going to tell you more about what Brexit really means. You are listening to Licensed Financial Planner, Windus Fernandez Brinkkord and my co-host Jonni Bailey on Inside Advantage on ESPN. Windus states: Welcome back. This is Inside Advantage – Your Financial And Tax Radio Show on ESPN and you are listening to Licensed Financial Planner, Windus Fernandez Brinkkord with my co-host today Jonni Bailey. Let’s kick off this segment with my special offer: Trilogy Financial Services will provide you with a retirement cash flow analysis which is a $600.00 value for free as long as you mention the Inside Advantage Radio Show when you call to make an appointment. Call my office to make an appointment to meet with me, Windus Fernandez Brinkkord. The number to call is 858-314-5169. That is 858-314-5169. Or visit www.guideyourstory.com. Brexit: I read a few articles from the Wall St. Journal & Bloomberg to really wrap my head around this topic. Jonni, so this term is being used quite a bit, but what does it mean to you? Ultimately, not to beat the dead horse into the ground, Brexit is the United Kingdom leaving the European Union, which was more of a trade connection/agreement to them than anything else. But the EU is bigger than this and it has made a big impact on countries inside of the UK. I know I discussed on another show that the UK is made up of four countries: England, Wales, Ireland, and Scotland. The two countries likely hardest hit with England’s decision are Scotland and Ireland. Now Scotland voted to stay but what happened in Ireland is much more complicated and a little more difficult to navigate! Once upon a time, not long ago, even though it feels like it, Ireland was divided between the Northern Ireland and the Republic. With the largely Protestant Democratic Unionist Party backing leave and the Mainly Catholic Sinn Fein campaigning to remain. Jonni, so foreign to us to see religion tied into politics, right? Although we do see that here with some of our main issues dividing rights regarding abortion and marriage. Do you think religion plays a big role in politics here in the US? Ireland needed money to help shore up banks after it pumped money into the banks and essentially nationalized the bank system. Then the government got into trouble so the EU pumped into their economy $100 billion Euros. In exchange for this, the country had to agree to austerity. What does/did austerity mean? First austerity means: it is a set of economic policies implemented with the aim of reducing government budget deficits. In Ireland, that meant a huge cut in welfare spending and a rise in the VAT rate, which is a tax levied on most goods and services. Now in Ireland, welfare pertains to three things: social insurance payments, means tested payments, and universal payments. To break that down in the US terms: Social Security, Unemployment payments, Welfare (in the traditional US sense). Jonni, what is your perspective on a country needing to be Bailed-out, do you agree or disagree with providing that kind of money to a country? Do you think austerity puts pressure on the population? If your company needed money to stay afloat, and you had to take it what austerity could you implement to keep going that wouldn’t impede your ability to be profitable? Then for Ireland comes the issues of their already very instable economy. And with the austerity, they are just now becoming stable. The critical attraction to Ireland is the amazing corporate tax rate. Now they’ve had the ability to keep this and not assimilate to the rate of the UK because of their ties to the EU. Without membership in the EU, they may have to now increase this tax rate putting Ireland in a difficult position economically, again. WizzAir Holding is cutting seats to and from the UK due to the weaker pound. Appliance maker Electrolux AB & Groupe Eurotunnel SA both said the weaker pound will hurt earnings. Concern and uncertainty for how the UK will unwind itself from the EU is creating a cloud over corporate forecasts, shaping how companies make decisions. This alone could cause pressure that could inadvertently trigger a recession in the UK. Not all news is bad, many companies do stand to make money from this as well. British firms that make their money from outside of the UK are going to benefit from the lower currency! I’ve even had many friends and clients tell me about how they are buying the pound now, at these rates, in advance for future vacations! Windus states PLUG: Trilogy Financial Services will provide you with a retirement cash flow analysis which is a $600.00 value for free as long as you mention the Inside Advantage Radio Show when you call to make an appointment. Call my office to make an appointment to meet with me, Windus. The number to call is 858-314-5169. That is 858-314-5169. Or visit www.guideyourstory.com. Windus states: Stay tuned because after the break we are going to tell you about those summer wedding tax woes! Windus states: Welcome back. This is Inside Advantage – Your Financial And Tax Radio Show on ESPN and you are listening to Licensed Financial Planner, Windus Fernandez Brinkkord and my co-host today Jonni Bailey with Ruff Haus Design. Calling in today is Amy Spivey, Jeff’s associate at the Law Offices Of Jeffrey B Kahn, P.C. Amy, how are you doing today? Windus states: And before we start our next segment, Amy would you please tell our listeners of your offer? Amy states PLUG: The Law Offices Of Jeffrey B. Kahn, P.C. will provide you with a Tax Resolution Plan which is a $500.00 value for free as long as you mention the Inside Advantage Radio Show when you call to make an appointment. Call our office to make an appointment to meet with Jeffrey Kahn, right here in San Diego or at one of our other offices close to you. The number to call is 866.494.6829. That is 866.494.6829. Windus states: With all the planning and preparation that goes into a wedding, taxes may not be high on your summer wedding checklist. However, you should be aware of the tax issues that come along with marriage. Windus asks: Amy what are some basic tips that taxpayers should be aware of? • Change tax withholding. A change in your marital status means you must give your employer a new Form W-4, Employee’s Withholding Allowance Certificate. If you and your spouse both work, your combined incomes may move you into a higher tax bracket or you may be affected by the Additional Medicare Tax. Use the IRS Withholding Calculator tool at IRS.gov to help you complete a new Form W-4. • Tax filing status. If you’re married as of December 31, that’s your marital status for the whole year for tax purposes. You and your spouse can choose to file your federal income tax return either jointly or separately each year. You may want to figure the tax both ways to find out which status results in the lowest tax. Windus asks: Can you get a Tax Write-Off for your wedding? Amy replies: Generally you cannot write-off a wedding but there are ways that newlyweds can spend for their weeding that can actually save money when it’s time to pay taxes at the end of the year. Windus states: Well I am sure that tax write-offs are usually the last thing a bride and groom think about when planning a wedding but what tips so you have on this? Amy replies: The Attire. Brides often wear their wedding dress only once. And while some opt to keep them for whatever reason, others have no idea how to discard them. For a tax write-off, consider donating the wedding gown to a nonprofit organization like Goodwill, MakingMemories.org or CinderellaProject.net. These organizations will take your dress and issue you a donation receipt for your good efforts. While you’re at it, consider donating the bridesmaids dresses, flower girl dress, ring bearer’s outfit and any nonperishable decorations. Windus asks: What about the venue? Amy replies: The Venue. Believe it or not, some wedding venues are tax deductible. Choose a ceremony or reception venue located at a museum, public-owned park or even a historic house or building of some sort. These places are usually owned by nonprofit organizations who use the money they receive for upkeep purposes only. Speak with the head of the venue sight to make sure that it is a nonprofit organization and what portion of the cost you pay is in excess of the deemed value of the rental of the space (only the excess amount could be deductible as a charitable contribution). Windus asks: Can you think of anything else? Amy replies: Wedding Favors and Gifts. Charity donations can make thoughtful wedding gifts and favors. They also save you money during tax season. So instead of purchasing a trinket that your guests or attendants may discard later, opt for a donation to your favorite charity on behalf of all those who are a part of your wedding. Amy continues: Flowers and Foods. You can also get a tax write-off for items that have a short life, such as leftover food and all those floral centerpieces. After the wedding is over, ask a friend or family member to bring the items to a local nursing home, homeless shelter or somewhere similar. You will get a tax deduction for the cost of the remaining food and flowers and you’ll put a few smiles on faces. Windus states: I would think that writing off anything associated with a wedding would be a red flag with IRS so how should a taxpayer document this? Amy replies: Documenting. Whether you have your taxes done by a professional accountant or take care of them yourself, it’s important to document each of these wedding tax write-offs. Keep all your receipts for any purchases you make and request a donation sheet (signed by the organization) that states how much you donated, what you donated and when. Save all your contracts for any wedding venues and, if possible, request that the venue organizer provide you with receipts for each of your payments. Windus states: So it seems that these write-offs are being structured as qualifying expenditures as charitable contributions. Amy replies: That’s right. Reporting Charitable Contributions. To claim charitable deductions, you must itemize them on Schedule A of Form 1040. The IRS will need any and all receipts and statements that support the fees, expenses and donations that you claim. If your total noncash contributions exceed $500, you must also fill out Form 8283, Noncash Charitable Contributions, and attach it to your tax return. If you donate a single item worth more than $5,000, you must add Form 8283, Section B, and obtain an appraisal. Windus asks: When could an Engagement Ring be tax deductible? Amy replies: An engagement ring signifies a commitment between two partners and marks their intention to marry at a later date. Because engagement rings are typically made from precious metals and stones, the price can range from several hundred dollars to several thousand dollars. Whether you may claim an engagement ring as a tax deduction depends on individual circumstances. If you plan to propose and purchase an engagement ring to seal the deal, you may not deduct the cost of the ring from your taxes. An engagement ring is considered a capital gains item rather than a household item, making it ineligible for deduction purposes. Windus asks: So let’s say the engagement falls apart and now you have this ring. Can you donate it and get a tax write-off? Amy replies: Donating a Ring. You may donate an engagement ring to a charitable entity if, for instance, your engagement ended without marriage or if you divorced and no longer want to keep the ring. In most cases, the donation represents a charitable contribution that you can deduct from your tax liabilities for the year in which you donate the ring. However, to claim the ring as a tax deduction, the charitable organization must be able to use or sell the ring. Contributions that a charitable entity cannot use are not tax deductible. The amount you can deduct from your tax liability depends partially on the value of the ring. Obtaining a certified appraisal of the ring might help you maximize your tax deduction if the ring has increased in value since purchase. The cost of the appraisal is not included in the charitable contribution deduction; however, you may deduct the cost of the appraisal as a miscellaneous deduction. Amy states: PLUG: The Law Offices Of Jeffrey B. Kahn, P.C. will provide you with a Tax Resolution Plan which is a $500.00 value for free as long as you mention the Inside Advantage Radio Show when you call to make an appointment. Call our office to make an appointment to meet with Jeffrey Kahn right here in San Diego or at one of our other offices close to you. The number to call is 866.494.6829. That is 866.494.6829. Windus states: Thanks Amy for calling into the show. Amy says Thanks for having me. Windus states: Stay tuned as we will be taking some of your questions. You are listening to Licensed Financial Planner, Windus A. Fernandez Brinkkord on Inside Advantage on ESPN. Windus states: Welcome back. This is Inside Advantage – Your Financial And Tax Radio Show on ESPN and you are listening to Licensed Financial Planner, Windus Fernandez Brinkkord and my guest Jonni Bailey with Ruff Haus Design. Jonni, how have you enjoyed the show so far today? Ready to answer some audience questions? First, let’s highlight the Trilogy offer one more time today: Trilogy Financial Services will provide you with a retirement cash flow analysis which is a $600.00 value for free as long as you mention the Inside Advantage Radio Show when you call to make an appointment. Call my office to make an appointment to meet with me, Windus. The number to call is 858-314-5169. That is 858-314-5169. Or visit www.guideyourstory.com. Windus states: If you would like to post a question for us to answer, you can go to Jeff’s website at www.kahntaxlaw.com and click on “Radio Show”. You can then enter your question and maybe it will be selected for our show. OK Jonni, Now you get to ask me the questions. a.	I want to invest in an IRA but am not sure how to go about it. At what earnings point is it more beneficial to go the Traditional Retirement route and not the Roth Retirement route? 1. Can you tell us a little bit about PrideStaff? 2. What is PrideStaff Financial? 3. What was the drive behind starting up your own staffing and recruiting enterprise? 4. About how many companies around the Greater San Diego area does your company provide temporary work for? 5. Would you be able to tell us off the top of your head, what percentage of your temporary associates go on to become direct hire employees? 6. Where do you advertise for new talent to fill future positions? 7. Does PrideStaff provide benefits for the employees being sourced for temporary positions? How does that work within PrideStaff? 8. Do you have a list of associates who match up to a specific positions criteria, or do you have a first call first serve basis for available assignments? 9. Have you ever considered another path for yourself outside staffing services? 10. What would be your most valuable bit of advice for anyone interested in owning their own business? Well it’s time for a break but stay tuned because we are going to tell you Youth Optimism Powers U.S. Economy. And be aware of the special offer that Windus has for you: Windus PLUG: Trilogy Financial Services will provide you with a retirement cash flow analysis which is a $600.00 value for free as long as you mention the Inside Advantage Radio Show when you call to make an appointment. Call my office to make an appointment to meet with me, Windus A. Fernandez Brinkkord. The number to call is 858.314.5169. That is 858.314.5169. Or visit www.guideyourstory.com. –>This is a decades long generational issue. Often people in their 20’s & 30’s are more optimistic than those at the end or towards the end of their working careers. Chris, have you noticed this in your work place or between you & your daughters? •	Specifically, confidence among the 35 & below crowd is back at pre-recession levels where as those about 55 is far lower and even decreasing in the last year. From your experience, what would be contributing to this decrease? Do you think it is work place happiness? Or watching the investments not have a good year? Concern over the Presidential election? •	Older Americans pulled back in spending in the first quarter of 2016 while younger ones increased, according to Chase credit & debt cards. Honestly, if I didn’t have a lot of money invested, I may not have felt the pain of the first quarter in 2016 as much. Right? How connected would I be to the economy? •	Younger people feel that having to bid for a house is a sign of a strong economy. Some older people get worried it is a sign of a housing bubble. –>Many youths are burdened with high student loans that will ultimately prevent them from buying a home. Especially without a parent co-signer on that house. –>Millennials will not see pay raises at a rate in which can keep the economy going like baby boomers could. –>they used to target retirees or people who had time and money to spend. They are now focusing on tired parents that are working OR “stressed-out young professionals”…Todd Leff, chief executive and Hand & Stone, a Pennsylvania based massage chain. •	Readings on consumer confidence for these two groups has ultimately ebbed and flowed but in June it was nearing a record. In August of 2015, was when it created that record originally? •	Youth are benefiting from things like a raise in minimum wage whereas older individuals are being hurt by rising medical bills while on a fixed income. Chris, what do you think of this? Do you think this is a broad nationwide analysis or do you think this applies to your feelings? –>Brexit? At least here in the U.S. it didn’t impact our Millennials! Whereas retired individuals saw a huge impact, albeit a short one, on their investments. Making them feel more uneasy then they already do. Windus PLUG: Trilogy Financial Services will provide you with a retirement cash flow analysis which is a $600.00 value for free as long as you mention the Inside Advantage Radio Show when you call to make an appointment. Call my office to make an appointment to meet with me, Windus A. Fernandez Brinkkord. The number to call is 858.314.5169. That is 858.314.5169. Or visit www.guideyourstory.com. Jeff states: Stay tuned because after the break we are going to tell you some tips if you owe taxes. Tips If You Owe Taxes. Jeff asks: So what is the first step in the IRS Collection process where you owe money to the IRS? Amy replies: Mailed Tax Bills. If you owe taxes, you will first receive a bill in the U.S. mail from the IRS which tells you your balance owed through a certain date indicated on the bill. Don’t fall for those calls from people claiming to be the IRS threatening criminal action against you if you don’t pay the amount they are demanding. The IRS will never make an initial contact with you by telephone without first having sent you written notice that you owe the IRS or are under examination. Of course if you have the available funds, you should pay the balance no later than the date indicated in the bill to avoid any extra charges. If you can’t pay in full, keep in mind that interest and penalties continue to accrue on the balance so any payment made to IRS will result in lower accruals of interest and penalties for the future. Windus asks: Is there a preferred method to pay your bill to IRS? Amy replies: Use IRS Direct Pay. When paying a balance from an IRS tax bill consider using IRS Direct Pay. It’s the safe, easy and free way to pay from your checking or savings account. You can pay your tax in just five simple steps in one online session. Just click on the “Payment” tab on IRS.gov. Windus asks: What about a taxpayer who does not have the funds now but is expecting substantial funds soon like from a settlement or inheritance or maybe even getting a loan? Amy replies: Full Payment Agreements of up to 120 days. If you owe more tax than you can pay, you may qualify for more time -up to 120 days- to pay in full. You do not have to pay a user fee to set up a short-term full payment agreement. However, the IRS will charge interest and penalties until you pay in full. Jeff states: But let’s say you are a taxpayer who cannot full pay now or even in the next 120 days, what do you do? Amy replies: Apply for an installment agreement. For one thing if you’re financially unable to pay your tax debt immediately, you can make monthly payments through an installment agreement. Before applying for any payment agreement, you must file all required tax returns and if you are required to make estimated tax payments, you must be current in making those payments. The IRS calls this “being in current compliance”. By being in current compliance, the installment agreement can now cover all tax periods with outstanding balances. Windus asks: Is there only one type of installment agreement with IRS? Amy replies: Actually Windus many people don’t know that there are different types of installment agreements in place with IRS. Amy states: “No Verification” Installment Agreements. For individuals who owe $50,000 or less in combined individual income tax, penalties and interest, OR businesses that owe $25,000 or less in payroll taxes, you can have an installment agreement set up with IRS without presenting any financial information. Jeff states: Under these agreements the IRS will usually rely on oral representations made and not require any proof of income or bank statements. Nevertheless, when calling the IRS you still must be prepared so that the request can be evaluated during that session with the agent. Having an incomplete session and then calling back the IRS with the missing information will only direct you to another agent who can have a totally different take than the first agent. Amy states: “Full Verification” Installment Agreements. For individuals and businesses that exceed the thresholds of the No Verification Installment Agreements, the IRS will require that full financial disclosure be made with your payment plan proposal. Be careful though because the IRS does limit certain expenses and depending on the type of installment agreement entered, you may not be able to get full credit for your actual living expenses. Jeff states: So if you are in this situation, it is best to hire tax counsel to compile the proposal and financial disclosures. If you do it on your own first and fail, your representative will not be able to “undo” what was already disclosed by you to IRS and that could then limit the representative in getting the optimum result. Windus asks: So for someone who already has an installment agreement, what do you advise? Amy replies: Understand Your Installment Agreement & Avoid Default. Keep in mind that your future refunds will be applied to your tax debt until it is paid in full. Pay at least your minimum monthly payment when it’s due and if paying by check include your name, address, SSN, daytime phone number, tax year and return type on your payment. Make sure the check is mailed to the right address for delivery no later than the payment due date. File all required tax returns on time & pay all taxes in-full and on time as any new liability will default your installment agreement. Make all scheduled payments even if the IRS applies your refund to your account balance. If you don’t receive your statement from IRS, send your payment to the address listed in your installment agreement. Jeff states: There may be a reinstatement fee if your agreement goes into default. Penalties and interest continue to accrue until your balance is paid in full. If you are in danger of defaulting on your payment agreement for any reason, it is a good idea to hire tax counsel who can seek reinstatement or even a modification where you can make lower monthly payments. 4. During the period the IRS evaluates an appeal of a rejected or terminated agreement. Windus states: I hear all the time that taxpayers can settle their IRS debt with an Offer In Compromise. What is that all about? Amy replies: Check out an offer in compromise. An offer in compromise or OIC may let you settle your tax debt for less than the full amount you owe. An OIC may also be helpful if full payment may cause you financial hardship. Not everyone qualifies after all, when you are looking for a discount on your IRS liability the government wants to make sure that collectability of the full liability plus interest and penalties is highly doubtful before granting a discount. Jeff states: An offer in compromise allows you to settle your tax debt for less than the full amount you owe. It may be a legitimate option if you can’t pay your full tax liability, or doing so creates a financial hardship. Amy states: The IRS will consider your unique set of facts and circumstances with a focus on your income and expenses to determine your ability to pay and your asset equity. Amy continues: The IRS will generally approve an offer in compromise when the amount offered represents the most the IRS can expect to collect within a reasonable period of time. Windus asks: How do you know if you are eligible for an OIC? Amy replies: Before the IRS can consider your offer, you must be current with all filing and payment requirements. You are not eligible if you are in an open bankruptcy proceeding and if you file for bankruptcy while your OIC is being evaluated, the IRS will stop evaluation and return the OIC. Windus asks: What forms must you use to submit your offer? Amy replies: The form to use in filing an OIC is Form 656. You must include payment of an application fee of $186.00 and a deposit towards the amount offered. Additional you must include financial disclosures. The main forms to use are Form 433-A (OIC) (for individuals) or 433-B (OIC) (for businesses) and these forms list all required documentation that must be included. Like installment agreement requests, the IRS limits certain living expenses so it make sense to engage tax counsel to pursue this process. Windus asks: Are there any payment options available? Lump Sum Cash: Submit an initial payment of 20% of the total offer amount with your application. Wait for written acceptance, then pay the remaining balance of the offer in five or fewer payments. Windus asks: What happens while an offer is being evaluated? 7. Your offer is automatically accepted if the IRS does not make a determination within two years of the IRS receipt date. Jeff states: If your offer is accepted you must meet all the Offer Terms listed in Section 8 of Form 656, including filing all required tax returns and making all payments for the next five years; Any refunds due within the calendar year in which your offer is accepted will be applied to your tax debt; and Federal tax liens are not released until your offer terms are satisfied. Jeff continues: If your offer is rejected you may appeal a rejection within 30 days after the determination letter has been issued by IRS. If though your offer is returned, you do not have this right of appeal and must start the OIC process all over again. Windus states: Windus PLUG: Trilogy Financial Services will provide you with a retirement cash flow analysis which is a $600.00 value for free as long as you mention the Inside Advantage Radio Show when you call to make an appointment. Call my office to make an appointment to meet with me, Windus A. Fernandez Brinkkord. The number to call is 858.314.5169. That is 858.314.5169. Or visit www.guideyourstory.com. Jeff states: And in the studio with Windus and me is our special guest Chris Rupp, Franchise Owner; PrideStaff, PrideStaff Financial. OK Chris, as our special guest what questions have you pulled for us to answer? Tracy from Carlsbad asks: I want to invest in an IRA but am not sure how to go about it. At what earnings point is it more beneficial to go the Traditional Retirement route and not the Roth Retirement route? a. In order to invest more conservatively in the current volatile market and ride out the market slump until the next Bull Run, what type of investments should I be shopping for? b. If I’m not set to retire for the next 40 years, should I really be concerned with how I’m investing right now if I’ll make it up further down the line? c. Would investing on a Cost-Basis average eliminate some volatility if I choose to keep investing steadily through a recession? This is Licensed Financial Planner, Windus A. Fernandez Brinkkord, Senior Vice President Of Investments at Trilogy Financial Services. Windus states: My co-host, Board Certified Tax Attorney, Jeffrey B. Kahn, the principal attorney of the Law Offices Of Jeffrey B. Kahn, P.C. and head of the KahnTaxLaw team, is off today but we still have things covered. 1. Tell us a little bit about what you do Stan. 2. What peaked your interest about your line of work, in the first place? 3. What did you do prior to entering the field of Commercial Mortgages? 4. How did working as a Derivatives Trader and Options Market Maker prepare you for your current position? 5. What made you decide to found your own lending company in 2006, and then later form Trillium Capital Partners? 6. How large is your company now? 7. With all of the different types of loan funding of commercial property, do you have a primary focus? 8. Why are you focused on these types of properties? 9. Besides the magnitude, can you tell our listeners what the major differences between private residential and commercial real estate mortgages? 10. What types of loan programs do service? Windus states: Well it’s time for a break but stay tuned because we are going to tell you what the bond market is telling us. Windus states: Welcome back. This is Inside Advantage – Your Financial And Tax Radio Show on ESPN and you are listening to Board Certified Tax Attorney, Jeffrey B. Kahn, and Licensed Financial Planner, Windus A. Fernandez Brinkkord. And be aware of the special offer that I have for you: Windus states Windus PLUG: Trilogy Financial Services will provide you with a retirement cash flow analysis which is a $600.00 value for free as long as you mention the Inside Advantage Radio Show when you call to make an appointment. Call my office to make an appointment to meet with me, Windus A. Fernandez Brinkkord. The number to call is 858.314.5169. That is 858.314.5169. Or visit www.guideyourstory.com. a. (DISCUSS: Higher bond yields caused by faster economic growth are offset by higher profits, meaning profits for the companies investors have shunned. How do you properly balance to be stable for either out-come, Bear Market or Bull Run)? Windus states: Stay tuned because if you run a side business or are looking to deduct losses from a hobby beware of the potential pitfalls that could land you in Tax Court. Jeff is off for today but we still have his associate attorney, Amy Spivey calling in from Walnut Creek. Windus states: Many people successfully develop a hobby into a going concern and actually receive income from it. That income must always be reported and taxes paid on that money regardless of your situation. Amy states: Now if you leave that hobby as a hobby, under the tax law, you are not allowed to deduct any of the losses incurred by activity in that hobby. That is the reason most people turn their hobbies into a “trade or business” once they start making money. Windus asks: Do taxpayers and the IRS have differing views as to what constitutes a “trade or business”? Amy replies: Yes. A taxpayer will argue that the activity is a trade or business and therefore the loss is deductible in full. The IRS will argue that the activity is a hobby so expenses from the activity are generally limited to the income derived resulting in no deductible loss. Amy continues: Let’s say you have a backyard greenhouse where you grow orchids and travel all over the world to collect new plants to add to your inventory and propagate. While you may think of this as your legitimate side business, the IRS is likely to disagree. If the IRS sees a history of losses from the activity, they may well challenge whether it is truly a “hobby” rather than a trade or business. If successful, such a challenge would preclude you from deducting a net loss from the activity, effectively rendering your orchid-growing-related tax-benefits useless. Windus asks: When Are Hobby Losses Deductible? Amy replies: By showing that your pursuit of your “hobby” is an activity engaged in for profit, you may be able to deduct those years where you incurred losses if you meet certain presumptions. Amy continues: For activities not involving the breeding, training, showing, or racing of horses, the presumption is that your business is an activity engaged in for profit where you show annual net income from an activity for 3 or more of the taxable years in the period of 5 consecutive taxable years which ends with the most recent taxable year. So if for the first three years your activity has incurred losses, you must show net income in years four and five (even if only $1.00 in each year) in order to still be able to deduct the first three years of losses. Amy continues: For activities involving the breeding, training, showing, or racing of horses, the presumption will work in the same fashion except you must show annual net income from an activity for 2 or more of the taxable years in the period of 7 consecutive taxable years which ends with the most recent taxable year. Windus asks: Are there any factors out there that taxpayers should know to determine whether an activity is entered into for profit or a hobby? Amy replies: The regulations under Section 183 (the so-called “hobby loss rules”), provide nine factors, which if answered in the affirmative, are indicative of a business. Amy to recite each factor. 1. The manner in which the taxpayer carries on the activity. Do they complete accurate books? Were records used to improve performance? 2. The expertise of the taxpayer or his advisers. Did the taxpayer study the activities business practices? Did they consult with experts? 3. The time and effort expended by the taxpayer in carrying on the activity. Do they devote much of their personal time and effort? 4. The expectation that the assets used in the activity may appreciate in value. Is the plan to generate profits through asset appreciation? 5. The success of the taxpayer in carrying on similar or dissimilar activities. Have they converting them from unprofitable to profitable? 6. The taxpayer’s history of income or losses with respect to the activity. Has the taxpayer become profitable in a reasonable amount of time? 7. The amount of occasional profits. Even a single year of profits can be a strong indication that an activity is not a hobby. 8. The financial status of the taxpayer. Does the taxpayer have other income sources that are being offset by the losses of the activity? 9. Does the activity lack elements of personal pleasure or recreation? If the activity has large personal elements it is indicative of a hobby. Windus asks: Is there any particular factor that stands out over the others? Amy replies: No one factor is determinative but the more you have in your favor, the better off you are. And because factors 4 through 9 are largely out of your control, you’d better make sure you’ve got the first three buttoned up by running the activity in a businesslike manner. Your business records must be up-to-date and accurate, and your business plan must lay out a course for creating profit from your activity in the future. That written business plan can be a real asset if you end up in Tax Court versus the IRS. Windus asks: Are there certain activities that attract IRS attention more than others, and by their very nature expose the taxpayer to risk of a hobby loss challenge? Amy replies: There seem to be two “hobbies” that trigger audits most frequently and those are horses or yachts. Both are money pits, and so if people can figure out a way to make a business out of them, that will provide either tax deductions and/or income to cover the high expenses of each. The IRS knows this, and is very strict when applying the rules to these activities. When structuring these, pay very close attention to business start-up details. Windus states: Despite the presumptions you discussed, the IRS does not always see your hobby as a viable business, and that is where tax difficulties arise. I suspect that there are a lot of Tax Court cases involving whether an activity was a hobby or business. As time permits – Amy can discuss any of these cases leaving time for her to recite Jeff’s plug. 1. Fishing: In Busbee v. Commissioner, T.C. Memo 2000-182, this taxpayer decided to hold fishing tournaments. These tournaments required him to promote the activity through flyers, speaking engagements, and other marketing efforts. He had to recruit participants and sponsors. He intended his hobby of fishing tournaments to supplement his retirement income as he developed it into a business. Through the process, he became an expert in bass fishing. The Tax Court considered all of this, and allowed his business. In Peacock v. Commissioner, T.C. Memo 2002-122, this taxpayer began tournament fishing in his retirement. Sailing everywhere on his personal yacht, he and his wife fished specifically for the pleasure of participating in the tournament, especially when these tournaments were in exotic locales. In this case, the Tax Court decided this was not a business but a hobby for the activity was not “motivated primarily by the pursuit of profit”. What probably hurt their case, even subtly, was the fact that they had just sold a business and were now millionaires. 2. Golfing: In William James Courville v. Commissioner, T.C. Memo 1996-134, an optical engineer, after 30 years of employment, was laid off. He decided to become a professional golfer, but took only 4 golf lessons while a “professional”. He did not qualify for the senior tour, and ended up with no income from this activity. However, he did submit a Schedule C, listing expenses totaling over $16,000. The Tax Court declared that he “failed to establish that his golfing activity was carried on with the actual and honest objective of making a profit”. 3. Track and field coaching: In Parks v. Commissioner, T.C. Memo 2012-105, the taxpayer began his professional career as a writer of freelance articles on the sport of track and field. Over a number of years, he owned a track and field magazine, coached at a number of different locations, studied with one of the foremost experts in the industry, then basically tried to establish himself and his trainees as credible within the field. By 2006, this man had a winning contestant who qualified for the Olympic trials, and by 2009, that contestant signed the taxpayer coach to a lucrative contract as his exclusive coach, and things only got better for the taxpayer. However, in a tax period of 9 years, the coach showed only a $43 profit, so the IRS claimed hobby not business. The Tax Court considered the case in great detail and decided primarily (although not all points) for the taxpayer, saying his income was growing and he had great potential for success. They did not see track and field as a typical hobby, and that did work to the taxpayer’s benefit. 4. Writing: There is an infamous case which always gives people a chuckle, and that is the man who decided to write about prostitution. Vitale v. Commissioner, T.C. Memo 1999-131. Ralph Louis Vitale, Jr., in 1999, claimed on his tax return that he was in the business of writing about prostitution. When this taxpayer began his “research” four years before his retirement, he was still a full-time employee. Over the course of time, he visited a large number of brothels doing his “research” and always paying for services in cash (no records kept). He did keep a journal detailing each of his visits and expenses, and eventually developed a manuscript from his notes. Vitale submitted his manuscript to a vanity publisher, paying $4,375 to publish it. All told, after he received $2,600 in royalties, the publisher went bankrupt. Subsequently, the book rights were returned to him, and he again began marketing his book throughout the industry. The IRS said this was just a hobby and disallowed Vitale’s deductions. So Vitale went to Tax Court. At first, the Tax Court felt that the taxpayer had a profit motive and overruled the IRS, even though the court also made comments about the “recreational” qualities of the contents of his book. The court did like his record-keeping and marketing and felt it showed his professionalism. But then the Tax Court disallowed all of his deductions, for the taxpayer could prove none of them (remember the cash payments?). Nevertheless, the court did not penalize this taxpayer in any way, saying that he had made a reasonable attempt to comply with the law. Amy states: The U.S. Tax Court weighs “profit motive” most heavily in each of their decisions. Profit is a key decider when considering whether an activity is hobby or business. Is your hobby truly for profit or only for pleasure? That is foremost and basic premise that the Tax Court considers. Which is why …. Amy states: PLUG: The Law Offices Of Jeffrey B. Kahn, P.C. will provide you with a Tax Resolution Plan which is a $500.00 value for free as long as you mention the Inside Advantage Radio Show when you call to make an appointment. Call my office to make an appointment to meet with me, Jeffrey Kahn, right here in downtown San Diego or at one of my other offices close to you. The number to call is 866.494.6829. That is 866.494.6829. Windus states: Stay tuned as we will be taking some of your questions. You are listening to Board Certified Tax Attorney, Jeffrey B. Kahn, and Licensed Financial Planner, Windus A. Fernandez Brinkkord on Inside Advantage on ESPN. Windus states: And Jeff and I always pleased to make our offers to our listeners where… PLUG: The Law Offices Of Jeffrey B. Kahn, P.C. will provide you with a Tax Resolution Plan which is a $500.00 value for free as long as you mention the Inside Advantage Radio Show when you call to make an appointment. Call Jeff’s office to make an appointment to meet with him right here in San Diego or at one of his other offices close to you. The number to call is 866.494.6829. That is 866.494.6829. Windus states: And in the studio with me today is our special guest, David “Stan” Stankaitis, CCIM; President at Trillium Capital Partners, Commercial Mortgage Broker. And Stan as our special guest, I will let you read what questions our listeners have for us to answer? Carlos from San Diego asks: In order to invest more conservatively in the current volatile market and ride out the market slump until the next Bull Run, what type of investments should I be shopping for? Susan from Carlsbad asks: If I’m not set to retire for the next 40 years, should I really be concerned with how I’m investing right now if I’ll make it up further down the line? Sandra from Newport Beach asks: Would investing on a Cost-Basis average eliminate some volatility if I choose to keep investing steadily through a recession? Windus states: Well we are reaching the end of our show. a. If I’m invested in my companies 401(k), what are the benefits of me opening up an outside IRA? b. Can I invest a Healthcare Spending Account? How does that work? Good afternoon! Yes sometimes we just have to take the money and run! Jeff is off on assignment today but I am not alone as I will be introducing my special guest in the studio with me and Jeff’s associate Amy Spivey will be calling in later in the show. You are listening to our weekly radio show where we talk everything about finances and taxes from the ESPN 1700 AM Studio in San Diego, California. When it comes to knowing tax laws and paying taxes, let’s face it — everyone in the U.S. is either in tax trouble, on their way to tax trouble, or trying to avoid tax trouble! And whether you are on the rebound or flying high, we have the information you need to make sound financial decisions and map out your strategy for success. 1. Tell us a little bit about what you do as the Regional Sales Manager for Pay it Forward Processing. 2. What was it about Pay it Forward that attracted you to the position in the first place? 3. The company philosophy centerpiece of “Every Swipe Benefits Charity” is an innovative program that fundraises to give back to the community. Can you explain how that works and what organizations benefit from the charity? 4. How long has the program “Every Swipe Benefits Charity” been around? 5. How much has the “give back” program donated to charity? 7. Do you have a niche clientele? Or a sector that gravitates toward you more than others for services? 8. When proposing your product to a merchant, what costs are associated with program? 9. How quickly would your company be able to equip a merchant with the devices and/or technology to conduct business? 10. A benefit of Pay it Forward Processing is no increase in processing costs, but what triggers a decrease in costs to merchants? 11. How do you keep your sales team engaged? Do you have monthly quotas, or how does that work? Well it’s time for a break but stay tuned because we are going to tell you why employers are cutting down on wellness benefits. 5. Survey also shares that organizations offering telecommuting has tripled to 60%, up from 20% in 1996.
a. Health savings accounts are being provided by some 50% of employers surveyed, up from 43% last year. 7. The variety of benefits has been widening to appeal to the multigenerational workforce. Stay tuned because after the break we are going to tell you How Taxes And Business Entities Work. Calling into the studio from my Walnut Creek Office is Jeff’s associate attorney, Amy Spivey. Windus states: So Amy please tell our listeners of your offer. Windus asks: Is there any difference in an LLC or S-Corp when forming an entity and looking at potential tax liability? Amy replies: When clients inquire on what type of entity should be formed for the operation of a business venture, we refer to that type of discuss ion as “Choice Of Entity”. Windus asks: What are the similarities between LLC’s and S-Corp’s? • Limited liability: Directors, officers, shareholders/members, and employees enjoy limited liability protection. • Pass-through taxation: Owners report their share of profit and loss on their individual tax returns. • Double taxation elimination: Income is not taxed twice (unlike corporate income which is taxed at the corporation level and again then at the individual level as dividend income when distributions are made). • Investment opportunities: The company can attract investors through the sale of shares of stock or membership interests. • Perpetual existence: The business continues to exist even if the owner leaves or dies. Windus asks: So what are the big differences? Amy replies: The big difference though is how these entities are taxed which people are not aware knowing that for both types of entities, the income or loss flows through to the individual income tax returns of the owners. An S-Corp will follow the corporation tax code. An LLC can follow either the partnership tax code or the corporation tax code or even be taxed as an entity disregarded as separate from its owner. Windus asks: How can this affect things if the entity breaks up? Amy replies: Whether the entity breaks up or sells off an interest is something to consider at the beginning when first choosing an entity. The exit strategy for the business will have different tax consequences if the entity follows the corporation tax code or the partnership code. A big factor to consider is how the business is first going to be capitalized or financed. Windus states: So a lot of people always ask me how long do tax records need to be kept. Amy what do you have to say about that. Amy replies: The length of time you should keep a document depends on the action, expense, or event which the document records. Generally, you must keep your records that support an item of income, deduction or credit shown on your tax return until the period of limitations for that tax return runs out. Windus asks: What is that period of limitations? Amy replies: The period of limitations is the period of time in which you can amend your tax return to claim a credit or refund, or the IRS can assess additional tax. The information below reflects the periods of limitations that apply to income tax returns. Unless otherwise stated, the years refer to the period after the return was filed. Returns filed before the due date are treated as filed on the due date. Windus asks: So what are the Period of Limitations that apply to income tax returns? 1. Keep records for 3 years if situations (4), (5), and (6) below do not apply to you. Windus asks: So what are the Period of Limitations that apply to employment tax returns? Amy replies: Keep employment tax records for at least 4 years after the date that the tax becomes due or is paid, whichever is later. Windus asks: Are the any special consideration for records connected to property? Amy replies: Yes, generally, keep records relating to property until the period of limitations expires for the year in which you dispose of the property. You must keep these records to figure any depreciation, amortization, or depletion deduction and to figure the gain or loss when you sell or otherwise dispose of the property. Amy continues: If you received property in a nontaxable exchange, your basis in that property is the same as the basis of the property you gave up, increased by any money you paid. You must keep the records on the old property, as well as on the new property, until the period of limitations expires for the year in which you dispose of the new property. Windus asks: What should you do with your records for nontax purposes? Amy replies: When your records are no longer needed for tax purposes, do not discard them until you check to see if you have to keep them longer for other purposes. For example, your insurance company or creditors may require you to keep them longer than the IRS does. And Jeff and I always pleased to make our offers to our listeners where… PLUG: The Law Offices Of Jeffrey B. Kahn, P.C. will provide you with a Tax Resolution Plan which is a $500.00 value for free as long as you mention the Inside Advantage Radio Show when you call to make an appointment. Call Jeff’s office to make an appointment to meet with him right here in San Diego or at one of his other offices close to you. The number to call is 866.494.6829. That is 866.494.6829. Windus states: If you would like to post a question for us to answer, you can go to my website at www.kahntaxlaw.com and click on “Radio Show”. You can then enter your question and maybe it will be selected for our show. Windus states: OK Cade as our special guest, what questions have you pulled for us to answer? Joshua of Newport Beach asks: If I’m invested in my companies 401(k), what are the benefits of me opening up an outside IRA? Debbie of San Diego asks: Can I invest a Healthcare Spending Account? How does that work? a. We’re hearing all of this rumble of “doom and gloom” when referring to where the market is heading. What kind of investments should one be contributing in order to wait out the storm? b. If someone had a foreign bank account that they never disclosed to the IRS and later closed out the account, can they still be liable to the IRS and subject to criminal prosecution? a. You’re originally from South Africa, what made you decide to make the move out to California? b. When you first came to the US in 1991, you worked as an educator, what changed your interest to Real Estate? c. Would you consider what you’re doing now, your dream job? d. You’ve received quite a few awards including “Rookie of the Year” when you first started in Real Estate with Prudential. What are the driving factors of your success? e. Do you have any predictions for the real estate market this year? f. Is there a best time of year to buy? g. What advice can you give someone who is looking to purchase a home this year? h. Tell us a little bit about your work as the Director of Homes for Hope and Healing, what is your mission? j. What about these organizations drew you to them? 13. Drinking kills six Scots a day, and Scottish drinkers are twice as likely to die of alcohol-related health problems as those in the rest of the U.K.
Stay tuned because after the break we are going to tell you more people who have been discovered to be in the Panama Papers. Jeff states: Dubbed the “Panama Papers” a collection of more than 11 million documents reveal how dozens of the most powerful and wealthy people around the world are laundering money, as well as evading taxes and sanctions, by using offshore accounts. Windus states: Just this past April, documents obtained by the U.S. government from the Panama law firm of Mossack Fonseca connect to 140 politicians in over 50 countries including former leaders of Ukraine, Saudi Arabia, Argentina, Iceland, Georgia, Qatar and Iraq. Amy states: Already it has been determined that associates of Russian President, Vladimir Putin, have funneled as much as $2 billion through offshore accounts, banks and shadow companies. Amy continues: Given the comprehensive nature of the Panama Papers, this is the biggest breakthrough for the U.S. government and other foreign governments to combat offshore tax evasion since the 2004 UBS crackdown that resulted in the undermining of the Swiss Bank Secrecy Laws and more than 60,000 U.S. Taxpayers coming forward to voluntarily disclose their foreign bank accounts to avoid criminal prosecution and get a reduction in penalties. Jeff states: The BBC even had reports of connections to families and associates of Syrian President Bashar Assad, former Libyan dictator Moammar Gadhafi, and former Egyptian President Hosni Mubarak. Amy states: And just about every day now a new world leader is announcing their involvement in this scheme before their names are leaked from these documents. Recently Prime Minister David Cameron of Britain admitted that he had profited from an offshore trust established by his late father. Windus states: And this is not just limited to government leaders, professional soccer player Lionel Messi, movie star, Jackie Chan and his son Jaycee, celebrity judge Simon Cowell, and Dreamworks Co-Founder David Geffen, are just some of the few note-worthies that have been linked to the Panama Papers. Amy states: The Panama Papers go back through 40 years of secretive dealings from the Mossack Fonseca law firm as one of the leading creators of shell companies. Documents from the firm include data on 214,488 “offshore entities” tied to individuals in roughly 200 countries and territories. Jeff states: As the information on these documents is being released, much of the news media is picking this up and we are learning of more people who had dealings with the Mossack Fonseca law firm. The New York Times is one of those media outlets that picked up on this and published an article on this. Amy continues: Mr. Ponsoldt retired to Florida after earning millions of dollars building a string of successful companies. He had renovated apartment buildings in the New York City area. Bred Arabian horses. Even ran a yacht club in the Bahamas, a rock quarry in Michigan, an auto-parts company in Canada, and a multibillion-dollar hedge fund. The Panama Papers show that in 2004 he approached a lawyer at Mossack Fonseca who documented that Mr. Ponsoldt’s “Primary objective is to maintain the utmost confidentiality and ideally to open bank accounts without disclosing his name as a private person.” In summary, the firm explained: “He needs asset protection schemes, which we are trying to sell him.” So the firm started a relationship that would last at least through 2015 as Mossack Fonseca managed eight shell companies and a foundation on the family’s behalf, moving at least $134 million through seven banks in six countries — little of which could be traced directly to Mr. Ponsoldt or his children. Jeff states: Now keep in mind that many of these transactions can be legal as there are legitimate reasons to create offshore accounts, particularly when setting up a business overseas or buying real estate in a foreign country. But the documents — confidential emails, copies of passports, ledgers of bank transactions and even the various code names used to refer to clients — show that the firm did much more than simply create offshore shell companies and accounts. For many of its American clients, Mossack Fonseca offered a how-to guide of sorts on skirting or evading United States tax and financial disclosure laws. Amy states: The documents show that the strategy included locating an individual from a “tax-convenient” jurisdiction to be the straw man owner of an offshore account, concealing the true American owner, or encouraging one client it knew was a United States resident to use his foreign passports to open accounts offshore, again to avoid scrutiny from regulators. Windus asks: What are the Filing Requirements If You Have Undisclosed Bank Accounts? Windus asks: Is it true that the U.S. Requires Reporting Of Worldwide Income On U.S. Income Tax Returns? Windus asks: So How Does This Breakthrough Impact U.S. Taxpayers? Jeff replies: Consider this – about 60,000 U.S. taxpayers have come forward to disclose their previously undisclosed offshore accounts but just last year alone, 300,000 U.S. taxpayers filed Form 8938 disclosing foreign accounts. That would mean that about 240,000 did not previously report their foreign accounts and that under this recent filing of Form 8938 to IRS, they have put the IRS on direct notice of their non-compliance. Jeff continues: Our office saw an increase in interest and activity by U.S. taxpayers hiring our firm after the 2004 UBS scandal and subsequent implementation by IRS of its first dedicated Offshore Voluntary Disclosure Program. And Windus and I always pleased to make our offers to our listeners where… PLUG: The Law Offices Of Jeffrey B. Kahn, P.C. will provide you with a Tax Resolution Plan which is a $500.00 value for free as long as you mention the Inside Advantage Radio Show when you call to make an appointment. Call my office to make an appointment to meet with me, Jeffrey Kahn, right here in downtown San Diego or at one of my other offices close to you. The number to call is 866.494.6829. That is 866.494.6829. Dianne from San Diego asks: We’re hearing all of this rumble of “doom and gloom” when referring to where the market is heading. What kind of investments should one be contributing in order to wait out the storm? Carlos from Del Mar asks: If someone had a foreign bank account that they never disclosed to the IRS and later closed out the account, can they still be liable to the IRS and subject to criminal prosecution? Jeff answers: Many people believe that because they closed out their foreign accounts, they have insulated themselves from any scrutiny by the IRS and do not need to worry about liability or criminal prosecution. That is a big myth. Foreign banks are now required to report present and past U.S. account holders to the U.S. government. We have clients who closed out their accounts as long as three years before who were later contacted by the foreign bank and informed that they were being disclosed to the IRS. I encourage taxpayers who are concerned about their undisclosed offshore accounts to come in voluntarily before learning that the U.S. is investigating the bank or banks where they hold accounts. By then, it will be too late to avoid the new higher penalties under the OVDP of 50% percent – nearly double the regular maximum rate of 27.5% and 10 times more than the 5% rate offered in the expanded streamlined procedures.